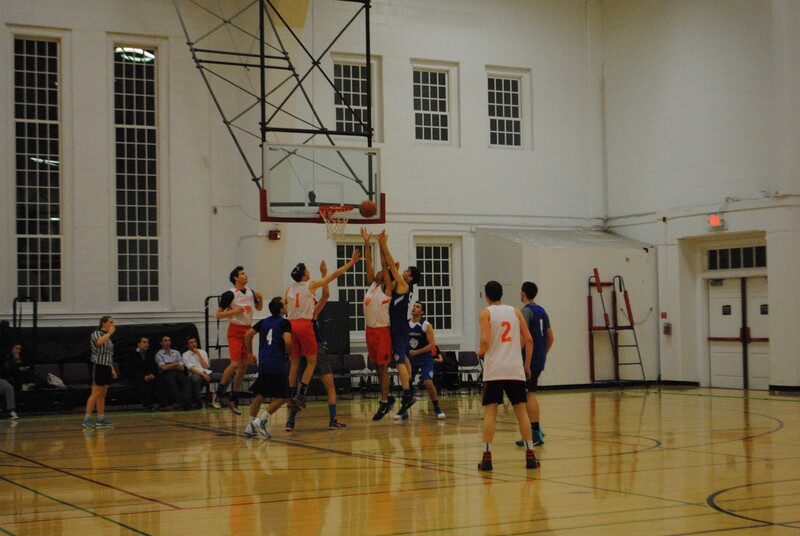 The National Hillel Basketball Tournament resumed playing after Shabbat with four games in the Reckord Armory at 8:30 p.m. Saturday Night, with other games playing at the Xfinity Center and the Ritchie Coliseum. Students gathered from all over the country to attend the NHBT, including students who were not taking part in the games. 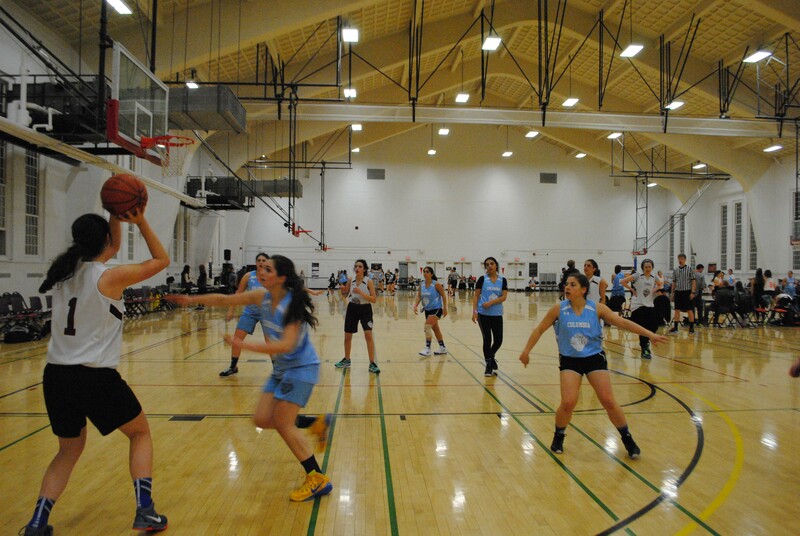 The tournament is not only basketball games, but also a time for Jewish youth around the country to congregate. After the Havdalah was done and the U.S. and Israeli national anthems were sung, all four games started in the gym, side by side. Avi Kozlowski, one of the NHBT chairmen, said the games went well. Fans were slow to fill the gym in the Armory, with only about 30 people attending the first game. However, the gym filled up for the second game, with around 100 fans. The most attended game was the Baruch game against Yeshiva University, with around 70 people attending the event. Ari Clements, a pre-med sophomore economics major from the University of Pennsylvania, who watched the women’s Binghamton game against North Carolina, enjoyed the competition between players. One of the players, senior Michelle Goldsborough from Temple University, said her team played their game well despite some challenges. Ben Milshtein, a graduate student studying philosophy at Yeshiva University didn’t feel that his team did very well in the first game, partially due to the timing of the game. Leah Simons, a freshman at North Carolina, also felt that her team could have done better. Arianne Mazel, an NHBT board member, also feels the tournament has been going well so far. “This year has been going amazing,” said Mazel, a freshman psychology major at this university. “We’ve had a great turnout of fans and players. After a late start Yale struggled to keep up with Queen’s College, but put in a good effort to keep up with the New York team. Women’s teams compete Saturday night. Alyson Kay/Mitzpeh. Students practiced for weeks with their teams prior to entering the tournament. A member of the Yale team did not feel he practiced enough or as hard as the Queen’s team. Students from Penn State University were sitting in the stands of Ritchie Coliseum watching the game, mentally preparing themselves for their turn to play later in the night. This was an important game for Queen’s College to win because it gives them good seating in the tournament. The students from Queen’s College are trying to avenge the early loss they had last year. The New York team was very excited about this victory and their chance to win the tournament. Students in the audience expressed excitement to play in such a large stadium where this university’s basketball team plays as well. A couple students from Yale University were very upset about the loss and refused to comment after losing the game. The majority of the game Queen’s College was in the lead. After a hard fought game, Queens College won 28-14. After the first set of games were over, the teams who won went on to compete in brackets. T the players and volunteers then had a pizza dinner before leaving for the night. No Replies to "Players, fans gather in Armory, Ritchie for Saturday night games"